The BoBunny Blog: Sunday Fun Day Mini Tag Album! Sunday Fun Day Mini Tag Album! 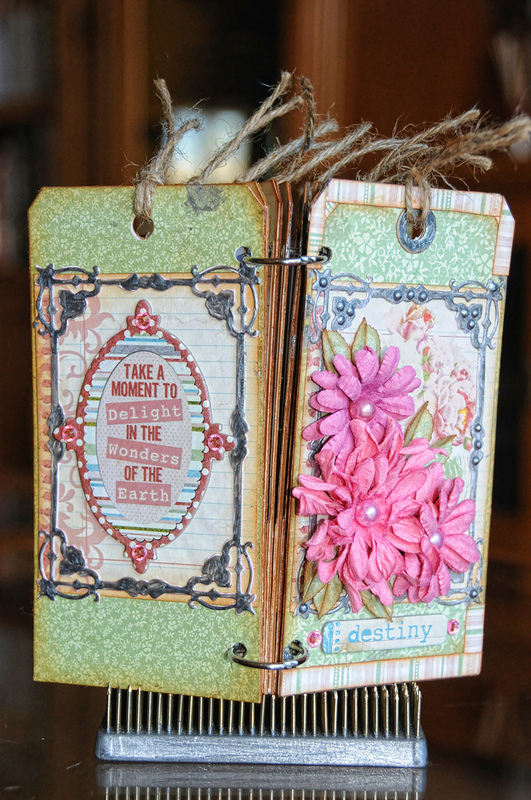 Hello, Lisa here to share with you a 6x3 mini Tag album using the gorgeous Garden Journal Collection. The new metallic Pearlescent Pens are really versatile. 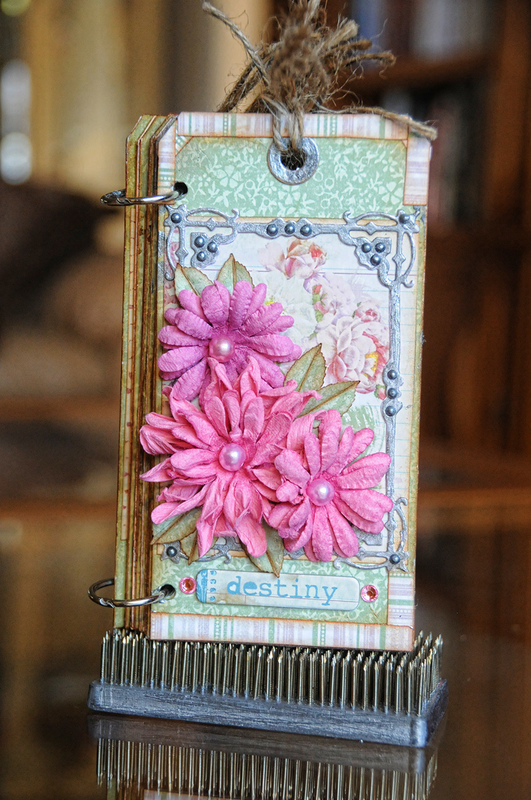 I chose to use the Graphite to color my die cut frame and the tag holes to make them look like metal. The new dies from BoBunny are fabulous!! I used one part of the Lattice frame for my front and back covers. Once the die cuts were finished with the Graphite, I then dotted it to make it look like rivets. 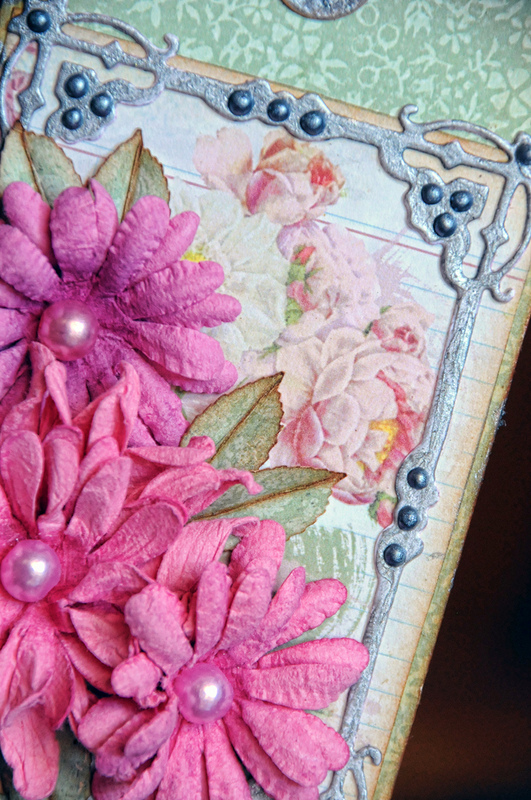 I used the Blush Daisy Blooms, and created the leaves by punching them out from leftover paper. I inked the leaves, rolled them for texture and tucked them under the flowers. Inside each page there is a pocket that contains a small folder for notes or pictures. I adhered each die cut tag to a piece of die cut chipboard and backed it with white card stock and a piece of Note Paper cut from the Misc Me. This made each page sturdy to stand on its own. I used the 6x6 Butterfly stencil on the note paper, so there is more room for journaling. This is a view of the front and back covers. I punched holes using my Cropodile and used book rings to hold the tag book together. This is beautiful! I love little things, especially little albums. This is wonderful. Thanks for the inspiration.